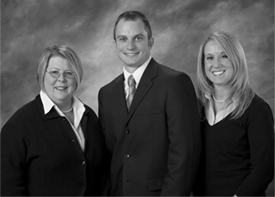 Formerly Hillcrest Chiropractic, Cook Family Chiropractic has been serving the residents of Wisconsin Rapids since 2007. Our mission is to treat you like you’re family and provide you with natural health care. With a wide range of doctors utilizing multiple techniques patients can be sure they will find a good fit with one of the doctors at Cook Family Chiropractic. Cook Family Chiropractic treatment plans generally consist of 3 phases of care: Acute, Healing and Rehabilitation. Acute. In this phase we’re concerned about pain relief. Getting you out of pain and feeling better is our primary focus. This is done utilizing chiropractic adjustments, ice, Biofreeze and other modalities to combat spinal subluxation (joint dysfunction), swelling and inflammation. Healing.Once you start to feel better and joint function is being restored, we adjust you less to allow your body to heal. Typically stretches and other at home direction is given at this time. Rehabilitation.As the healing process nears completion and joint function is being maintained adjustments are reduced again and strengthening exercises are given to ensure that the condition does not come back. We have a very laid back atmosphere at Cook Family Chiropractic. Each patient will get adequate time with the doctor and feel welcomed when they come to the clinic. Patients should expect very little wait time when coming for appointments. Our greatest pleasure is watching people that have come to us in tears because they’re so frustrated with their current healthcare or condition, leave able to enjoy daily activities or hobbies they thought they might never do again.